TL;DR - In my Web API I was using one controller with multiple operations that had the same method names which generated invalid Swagger. 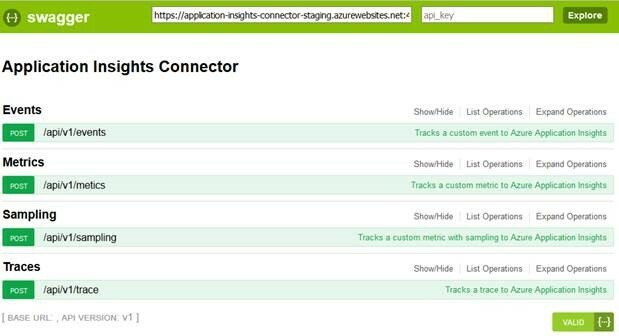 Here is how I found out what the issue was, how I fixed it and how I could use all my operation in Azure Logic Apps. 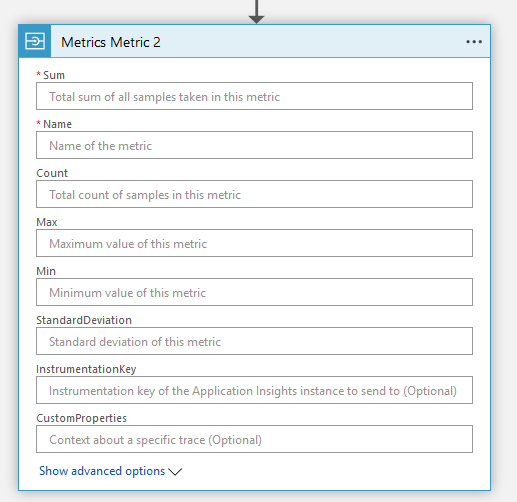 Last week I was working on an Azure Application Insights connector for Azure Logic Apps that enables you to write traces, custom events, simple metrics and sampled metrics to Azure Application Insights. As you can see I have a controller per telemetry type: Events, Metrics and Traces where metrics has two operations. This is because one can be used to track simple metric with just a value while the other uses a sampling approach where you can provide more granular information such as Min, Max, Sum, etc. Unfortunately this didn't fix the problem. 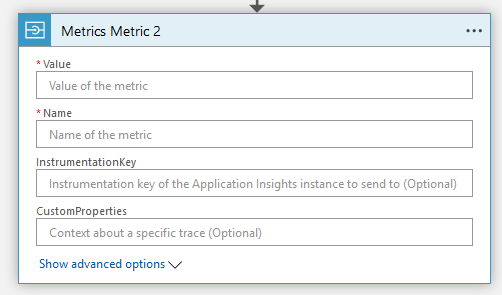 While trying to see what was going on I decided to change the order of the operations to see what the impact was in Azure Logic Apps. As you can see, it now loads the simplified operation and thus it clearly is impacted by the order, somehow. When I seperate the operations across controllers it also has an impact because then it successfully loads all operations. Unfortunately, this is not a good fix. Personally I prefer to consolidate similar operations within the same context into one controller. That said, the issue here is clearly related to the Swagger that is being generated. With the help of Jeff Holan, I found out that the Logic Apps editor uniquely identifies operations based on their OperationId, Path/Route & Method. This is probably the reason why I'm seeing the above behavior. Unique string used to identify the operation. The id MUST be unique among all operations described in the API. Tools and libraries MAY use the operationId to uniquely identify an operation, therefore, it is recommended to follow common programming naming conventions. This is clearly the issue since both operations have Metrics_Metric as an OperationId and are thus not unique. We can also see that it is a composite key of controller name and method name. As an alternative you can use also decorate your methods with the SwaggerOperation attribute and provide the name of the operation yourself. This is the solution I decided to go with as I find this a more explicit approach and even if I rename my method, the operation Id will remain the same. It's been a very interesting ride to see how the Swagger is structured and how we should optimize our code to generate a valid and well-structured Swagger. When the issue was fixed it made total sense that having the same method names was not the best fit. However, I'm more of a fan to decorate these methods with an additional attribute as I find this a more explicit approach that clearly states the name of the operation. The additional benefit is that when I rename my method, the operation Id will remain the same. 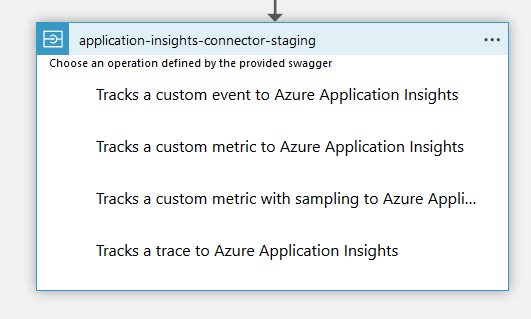 Next to that it is great to see how Azure Logic Apps supports Swagger nicely and how easy it is to write your own connector. You can even submit your custom connector so that they can publish it in the connector gallery.